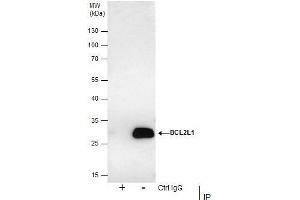 ICC/IF Image Bcl-X antibody detects Bcl-X protein at cytoplasm by immunofluorescent analysis. 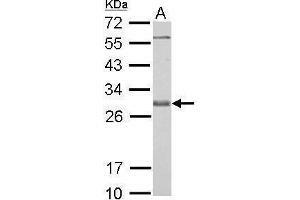 Sample: SK-N-SH cells were fixed in 4% paraformaldehyde at RT for 15 min. 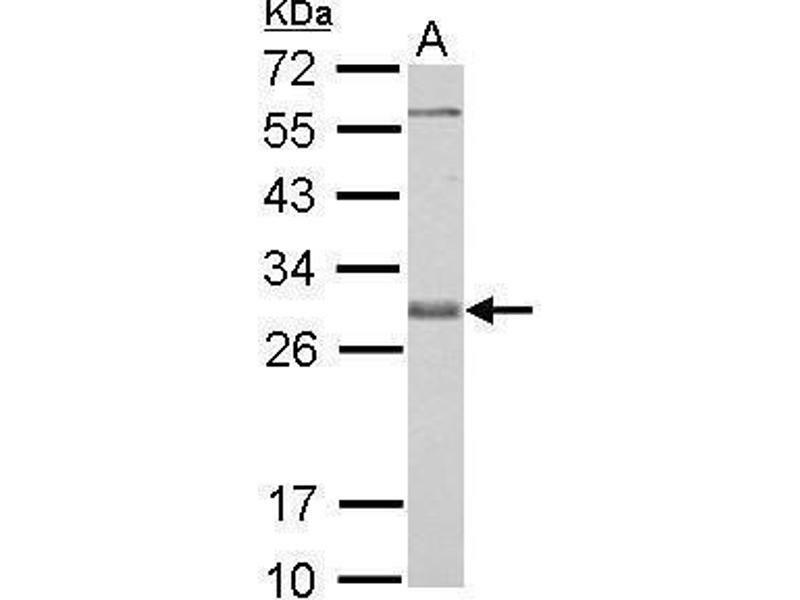 Green: Bcl-X protein stained by Bcl-X antibody , diluted at 1:200. 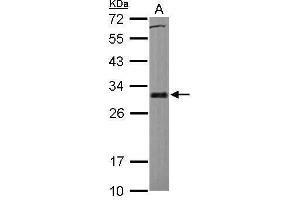 Red: alpha Tubulin, a cytoskeleton marker, stained by alpha Tubulin antibody [GT114] , diluted at 1:1000. 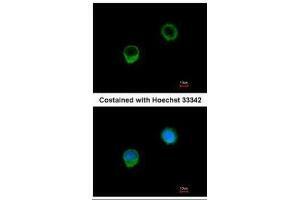 Blue: Hoechst 33342 staining. ICC/IF Image Immunofluorescence analysis of methanol-fixed A549, using BCL-x, antibody at 1:500 dilution. IP Image Immunoprecipitation of Bcl-X protein from HCT-116 whole cell extracts using 5 μg of Bcl-X antibody, Western blot analysis was performed using Bcl-X antibody, EasyBlot anti-Rabbit IgG was used as a secondary reagent. 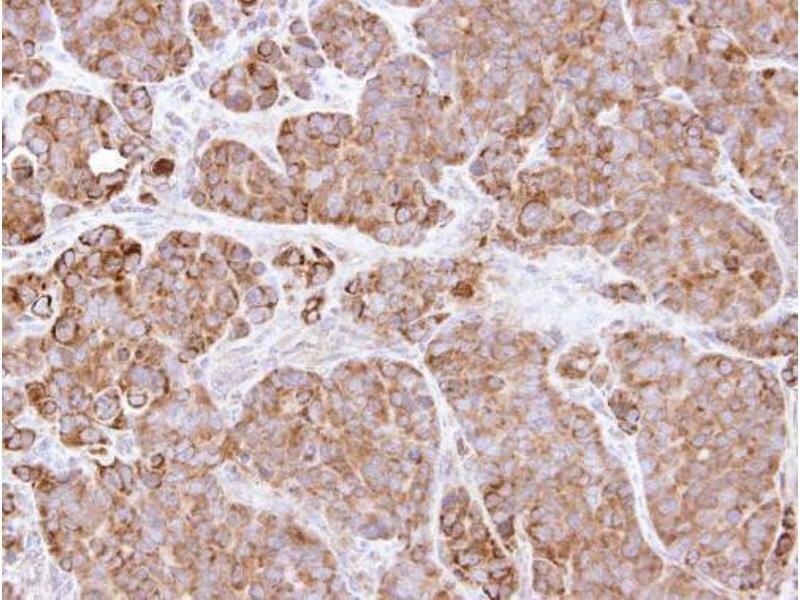 Immunogen Recombinant protein encompassing a sequence within the center region of human Bcl-X. The exact sequence is proprietary. 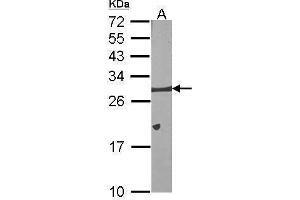 Background The protein encoded by this gene belongs to the BCL-2 protein family. BCL-2 family members form hetero- or homodimers and act as anti- or pro-apoptotic regulators that are involved in a wide variety of cellular activities. 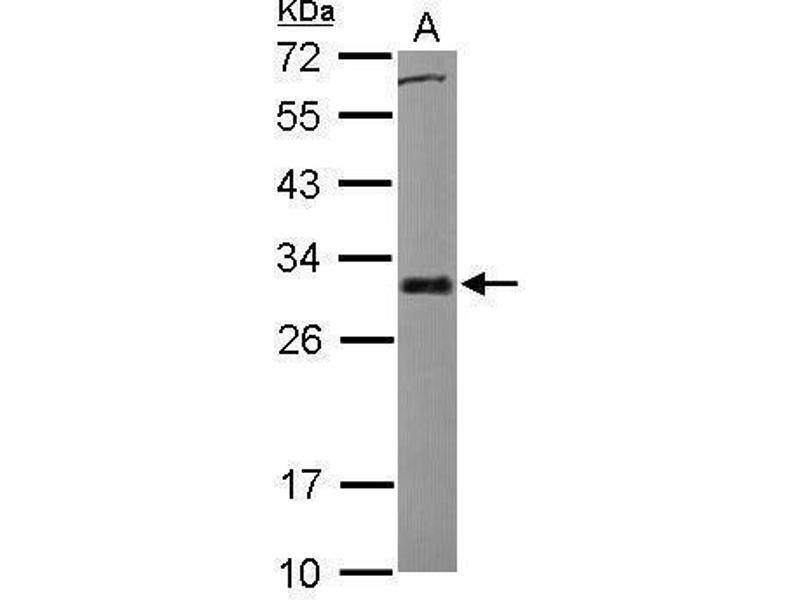 The proteins encoded by this gene are located at the outer mitochondrial membrane, and have been shown to regulate outer mitochondrial membrane channel (VDAC) opening. 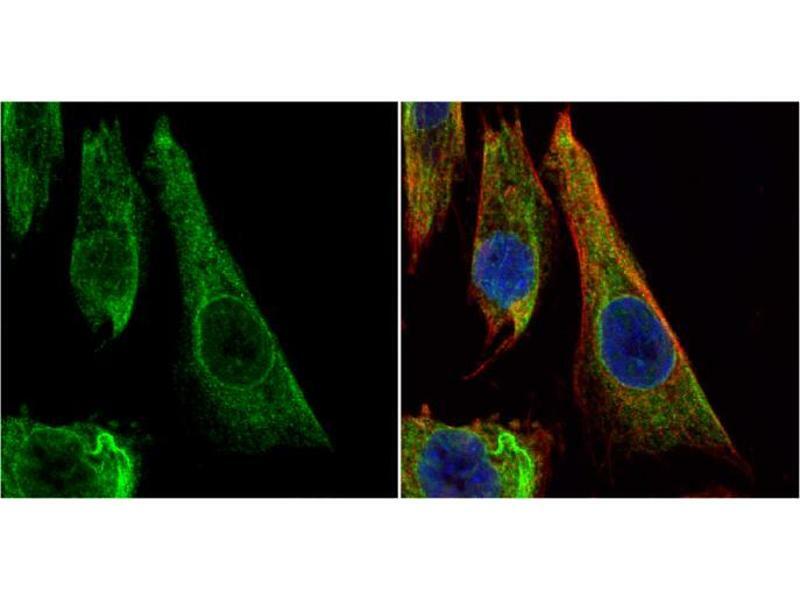 VDAC regulates mitochondrial membrane potential, and thus controls the production of reactive oxygen species and release of cytochrome C by mitochondria, both of which are the potent inducers of cell apoptosis. Two alternatively spliced transcript variants, which encode distinct isoforms, have been reported. 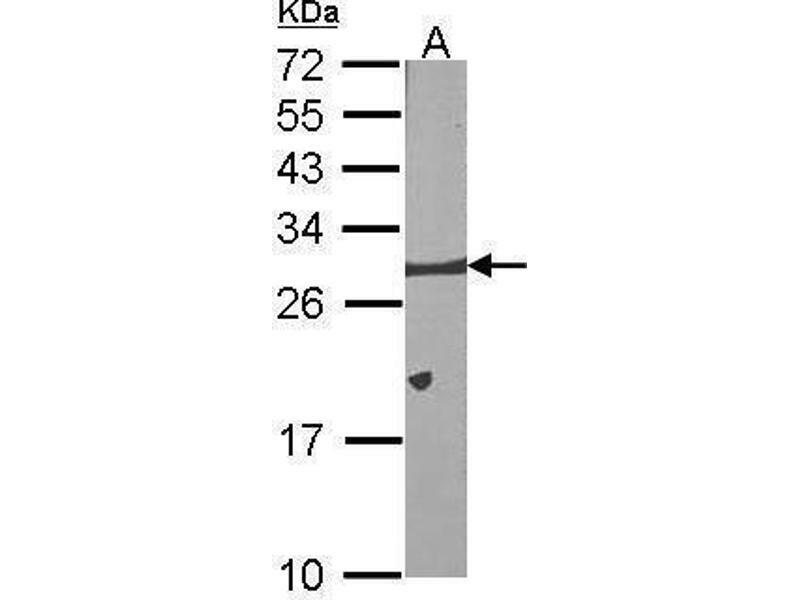 The longer isoform acts as an apoptotic inhibitor and the shorter form acts as an apoptotic activator. 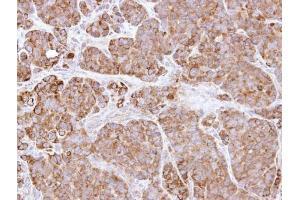 IHC-P Image Immunohistochemical analysis of paraffin-embedded SW480 xenograft, using BCL2L1, antibody at 1:500 dilution.